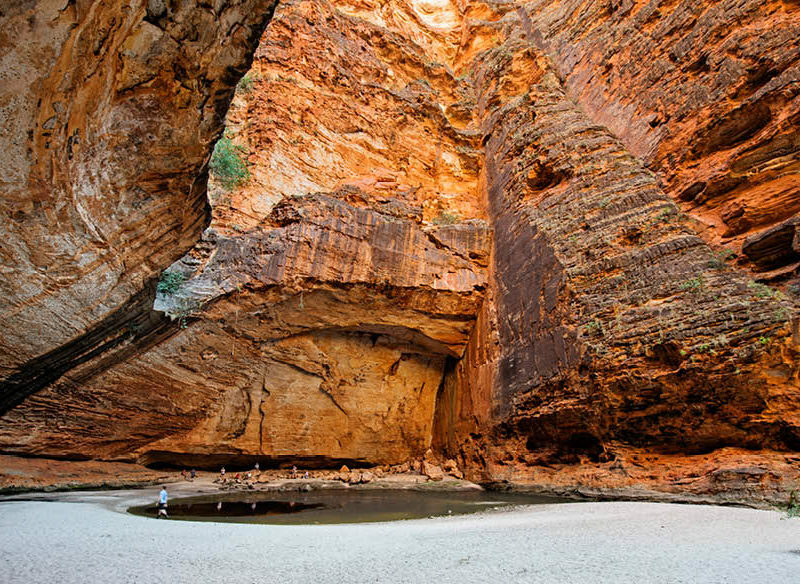 With its unparalleled beauty and endless reaches, the Aussie outback holds its own beauty. And, while the bush certainly brings its own charm – it also brings its dangers. School holidays are the time to get away with the whole family and to take a break from the mundane everyday and the familiar. And, while luxurious overseas trips and resort-style family stays can be an amazing experience, staying right here and exploring our very own backyard is second to none. It’s cost-effective, good for the soul and it gets the kids off their damned screens. We live in an amazing country, full of sights and sounds that people from all over the world travel to witness – and we’re lucky enough to have it all right here, on our own doorstep. With its unparalleled beauty and endless reaches, the Aussie outback holds its own beauty. And, while the bush certainly brings its own charm – it also brings its dangers. But what would you do if the 4×4 broke down, got stuck in mud or sand, or ran out of fuel in the middle of nowhere? There are too many spots where mobile reception is not a given, which makes the possibility of being stranded for longer than your supplies will last extremely likely and a real threat. So, in the unfortunate event of something going wrong, the key is to keep calm and know what to do. Of course, wandering a few hundred metres away to find a bit of tucker or looking for water during the day is totally fine, but when search and rescue rock up, you better believe they’ll be looking for a car. The wide expanse of the Queensland outback (photo: Brook James). They’re far easier to spot than people wandering about, and offer an extra level of comfort at night and shade during the day. Depending on where you get stuck or break down you might be faced with different dangers; a dried-up riverbed might seem safe, but flash floods or crocs in remnant water or dingos seeking a drink (and food) could pose an unforeseen risk. Likewise, if you are by a water’s edge, it is good to seek higher ground while remaining close enough to the vehicle to be found. Safety and visibility are top priorities together with supplies – mainly water. Australia is bloody hot – especially out bush and in summer. Red dirt aplenty: hot air ballooning outback Alice Springs (photo: Jennifer Pinkerton). Now, keeping hydrated is the key. The kids, especially, will need periodic hydrating on the hour (supplies permitting). Avoid more frequent small sips, opting for less regular but more hearty gulps to ensure there’s enough H20 being absorbed. Make sure you look after yourself too though, as it’s you who’s in charge of keeping everyone safe. Depending on what’s in your vehicle, you’ll either be setting up your own shade or seeking the best of what nature has to offer. Be it an awning, tarp or tree, staying in the shade is the best way to keep the body temp down and keep a cool head. Avoid unnecessary strenuous exercise when you can; preserve your energy for important jobs like searching for food or water. A person of good health can go for up to three weeks without food. Without water, however, it’s four days at best, so it’s pretty important you get this side of things sorted for your involuntarily extended stay in the bush. Outback: Oasis waterhole: Ormiston Gorge, Larapinta Trail (photo: Andrew Bain). What you’ll want to do is set up a rain trap. A tarp is best, however any non-absorbent material could work too. Use cable ties or rope to sling it up and make sure there’s a bucket or receptacle underneath to collect the rainwater. Setting up a condensation water trap is another great way to collect water – just in case it does not rain. Assuming you’ve done the smart thing and let people know when and where you’re going, soon enough people will start searching for you – let’s hope. Once they figure out that you haven’t returned on time, the search party will head out. To help them find you put reflective surfaces such as aluminium foil, mirrors and even CDs up, all around where the sun can catch, sparkle and reflect. Place these items strategically around your campsite and vehicle to increase your chance of being spotted, making sure you’re covering a 360-degree radius. Depending on appropriate weather conditions a burning campfire is another great way to catch the attention of helicopters – however, you don’t want to start a bushfire either. While you can’t pick the spot you break down at, you can minimise the risk once you have. If you are near a clearing or open view from above, use branches and rocks to mark out a visual marker – ‘HELP’ in large letters is the safest bet. This will help rescuers spot you from above should your vehicle be hidden. The best way to stay alive in the outback is to be prepared and prevent where possible. Invest in a satellite phone, purchase yourself a solar-powered water-purifying device and solar-powered lights for night-time visibility. Australian red center landscape on a road from Uluru to Alice Springs. Bring plenty of long-life food, a jerry can or two of extra fuel (and always keep these full) and, of course, ample water. If you are prepared properly, and are well stocked, your emergency situation will almost feel like a special camp-spot for quality family time! Following this guide can help keep you and the family safe out in the bush. Australia is a marvellous place, however, she can be very unforgiving – don’t take unnecessary chances, and stay vigilant out there. Safe Travels.